Afghanistan’s tiny Hindu and Sikh communities, forced to the brink of extinction by the Taleban regime, are hoping to make a social and political re-emergence at this week’s Loya Jirga Assembly. The minority groups, persecuted during the six years of the ultra-orthodox Islamic regime, will be represented by four delegates at the tribal gathering which is to select a new leadership for Afghanistan, AFP reported. Community leaders said their presence at the assembly was a reassertion of the rights of the nation’s only non-Muslim minorities and that they expected the tribal gathering to alleviate the suffering of the country’s 30,000 Sikhs and Hindus. “We take it as the return of our luck. In almost a decade, for the first time our rights have been determined and we have to defend our rights,” said Awtar Singh, a delegate to the Loya Jirga from the eastern province of Paktia. “We want somebody who would treat all Afghans — irrespective of their religious and ethnic backgrounds — as his own equal children,” said Singh, who is in charge of the main Sikh temple in Kabul. Sikhs and Hindus, united in adversity, are close in Afghanistan, unlike their counterparts in India where the faiths are clearly separate. In predominantly Muslim Afghanistan, they share the same temples as well as many religious ceremonies. Singh said the four representatives were appointed to sit among the 1,551 Loya Jirga delegates from 22 communities in 11 different provinces across the country. Balbir Singh, 52, the temple’s priest, lamented the social injustices Hindus and Sikhs had faced since the fall of the Communist regime in 1992 but said they now felt optimistic about their future. “Now there is no obstacle and no opposition to our religious rituals,” he said in the city’s main Kart-i-Parwan temple. “We are from Afghanistan, having to share its every joy and grief. Loya Jirga is very important for us because we have suffered under the Taleban, we had our temples destroyed,” he said. The priest called upon the Loya Jirga delegates, who will meet from June 10 to 16, not to discriminate against the country’s religious minorities. “We want them to do for us what they will do for the rest because Afghanistan is our common home,” he said. The decade-long civil war and particularly the six years of Taleban rule saw the numbers of Hindus and Sikhs plummet from a few hundred thousand to only 30,000. As relatively well-off minorities, they were the first to be targeted with looting when Mujahedin in-fighting broke out in 1992 after the fall of the Communist-backed regime. The eight Sikh and Hindu temples in the capital Kabul were ransacked and destroyed. The Taleban, who won international notoriety for their ultra- puritanical interpretation of Islamic sharia law, forced them to wear yellow badges to distinguish them from the Muslim majority. Autar Singh, an ex-officer from the Paktia Army Corps, recounted a long list of edicts announced by the religious militia which were aimed at eventually ridding Afghanistan of its Hindu and Sikh population. “We were told not to wear Muslim outfits, not to carry guns, not to mingle with Muslims, not to build more temples, to wear yellow clothes and to put up yellow flags on our houses and shops,” he said. “The most dreadful was that those of us who have migrated outside could never return back as Afghans.” Although community representatives say the situation has changed for the better since the Taleban’s ouster, they have yet to reclaim 250 houses taken illegally by military commanders in the city’s Kart-i-Parwan area. “These are people’s houses handed to the care of the temple. Some people have moved in and when we want back our houses they ask us for the documents,” Singh said. 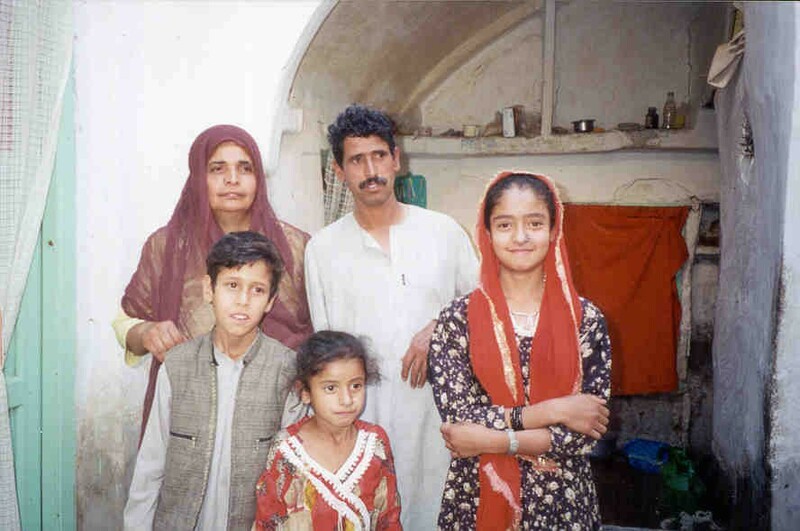 The political changes here have encouraged some Afghan Hindus and Sikhs now living in India to consider returning home, he said, but a major deterrent was the fact there were no proper education facilities for their children here. Hindu and Sikh students are still hesitant to attend the general schools in fear of harassment, and the city’s only temple-run special school is not functioning properly. Baldip Kohr, a 12-year old female student there, said the 100 young pupils were discouraged because “there are no proper classes and teachers who come at 8:30 a.m. and leave after one hour.” Standing in front of a crowded class of boys and girls reading in the local language of Dari as well as Punjabi, Kohr said she was happy to have seen the back of the Taleban. “They were bad and they beat us. I am very happy they are gone,” she said.